About a year ago I wanted to get into wheel to wheel racing. 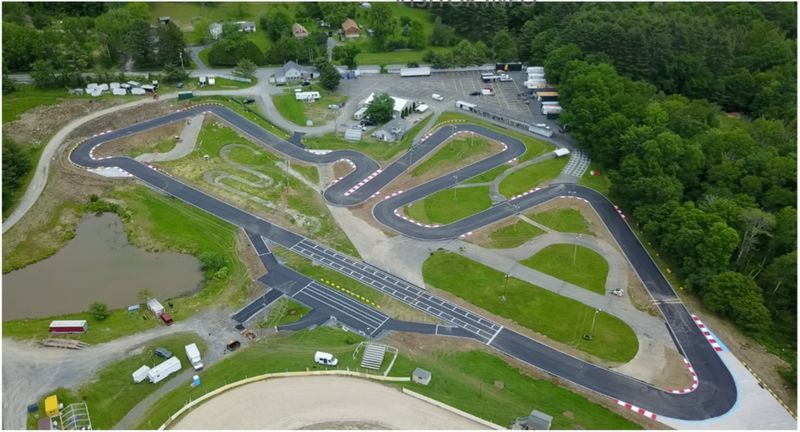 I got turned on to kart racing by a friend who has been doing it since he was a kid. Relatively inexpensive, physically demanding and a real blast. 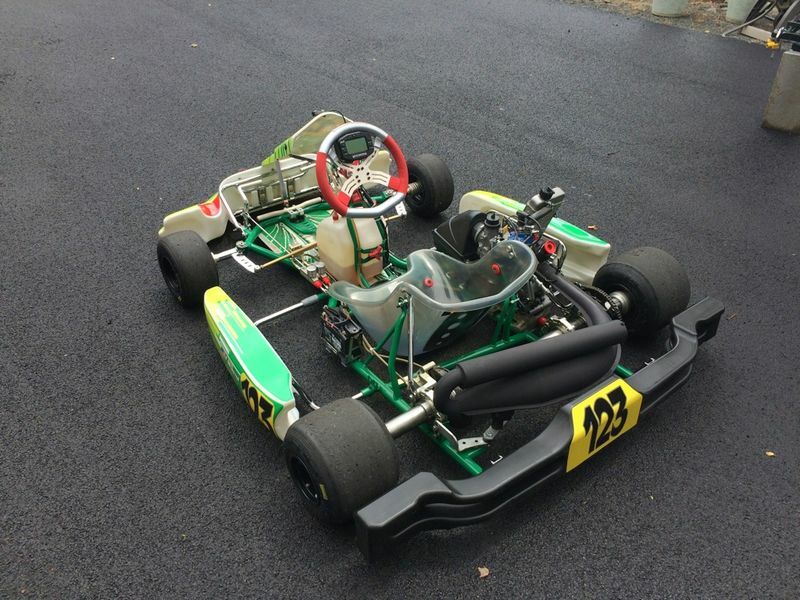 ~$11.5k new, $4-7.5k used for a decent one or two season kart plus a couple grand for stand, spares, etc. My racing trailer is a vnose enclosed 12x6 that I pull with the Explo. A well prepared kart in my class can pull a constant 1.7 - 1.9g with transient spikes to over 3.0g in the corners. Mandatory equipment includes a rib protector to limit rib bruising / fractures. Geared for OVRP, I'm hitting ~73 mph at 14,600 rpm when I begin braking for turn one. Geared for top speed on a long level straight, I can hit ~95 mph. If you've never driven a race prepped kart, give it a try sometime. Some tracks keep a few around as rentals. Usually, you can take one out after you complete a track training and assessment session in a lower power kart. 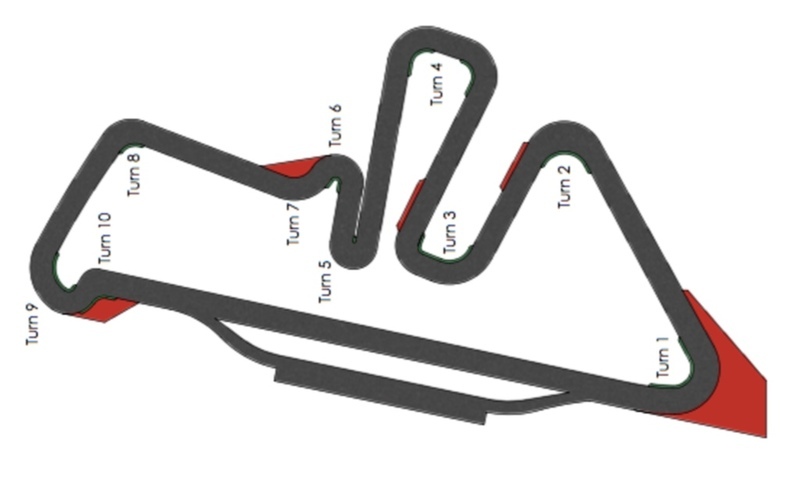 Our home track is Oakland Valley Race Park. Very technical, very challenging. Sounds like $8k to $10k total gets you in the door? Certainly a lot cheaper than other forms of racing. At a sustained 1.7g to 1.9g you definitely want some neck muscles. I gave it a try once at Boundorant here in Phoenix and it was alot of fun. They put us in low powered karts and it definitely gave your upper body a work out. Do they do any weight balancing to make up for the weight of the driver. I've done indoor electric karting and it would always annoy me to see someone that weighs 110 lbs pull away from me on the straights and then I'd catch them in the corners. 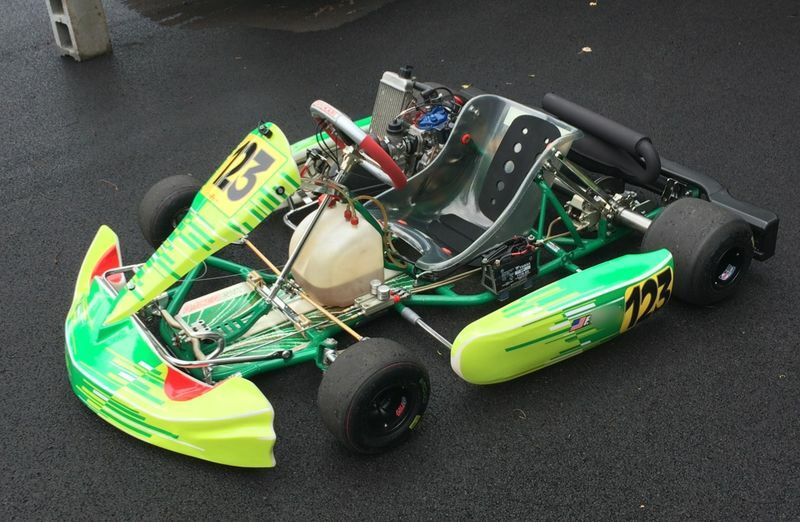 Hi Porsche9, yes for a preowned Rotax 125 Senior powered competitive kart in decent shape, you're club racing for $8-10k plus your transport. Approved neck brace, full face helmet, gloves, rib protector and flame retardant suit are required. Top end rebuild every 25hrs and full rebuild at 50hrs. At the club racing level chains and sprockets can last the season and you can get by with two sets of tires if your not too serious (and I'm not). Tires run about $250-300 per set of 4 and you can mount and balance them yourself with a couple of homemade tools. Of course, if you're competing in one of the national or international series all bets are off. Those guys / gals have multiple sponsors and are spending serious six figure money. These are strict class racers, so the engines are inspected and sealed, tires and fuel are spec, you are weighed at every race (weight limits differ by class (you can add / remove weights at various locations on the kart) and tire softness is spot checked with a durometer to insure that tires are not softened with 'Hot Lap' or other goop. My wife and I did the 3 day HPD training at Boundurant in 2015 (they were still running GM then). Really had a great time. We were going to do the karts, but we were too beat / satisfied after each day to do anything other than hoist a refreshing adult beverage at the hotel bar. Speaking of beat, I'm in pretty good shape and when I started karting I could only make 4 or 5 10/10ths laps before I had to run a couple of cool down laps. Definitely a strong upper body workout and at racing speeds your legs get into the act also (you alter the torsional characteristics of the kart with your body). Last edited by Oldcarguy; 07-07-2017 at 02:45 PM.